Biophilic design has connected workers with the natural world, making them healthier and happier. 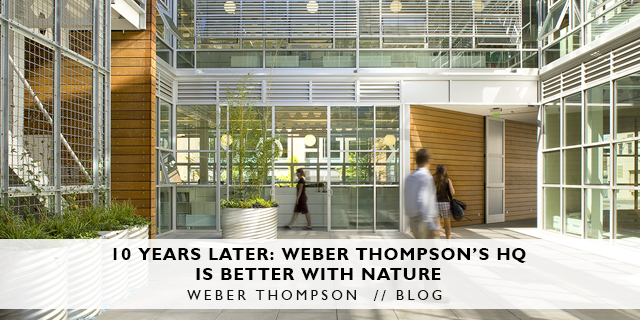 This year Weber Thompson is celebrating the 10-year anniversary of The Terry Thomas, the award-winning, LEED gold, passively cooled office building we designed and have been inhabiting since it opened. As part of that celebration, we thought it worthwhile to back-check our project against two frameworks for biophilic design, equipped with new vocabulary, science and best practices. The building design started in 2003. As Weber Thompson was both the architect and prime tenant, the firm’s leaders surveyed employees to elicit the “must-haves” in the core and shell building and interiors. 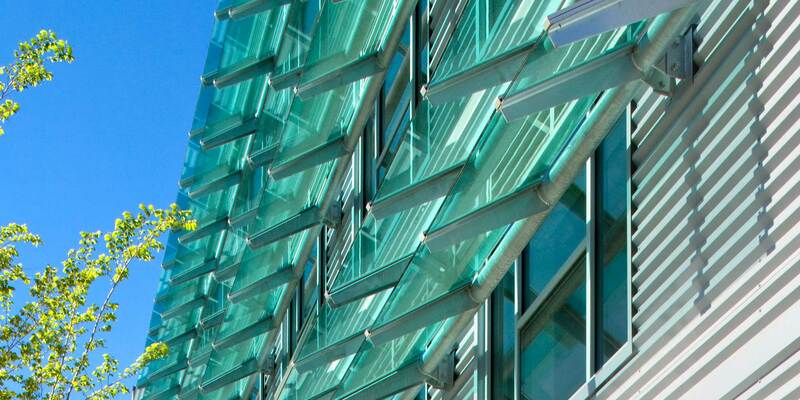 The design strategies that rose to the top were ample daylight, natural ventilation and cooling via operable windows. Like many LEED projects at that time, we engaged an integrated project team and stakeholders early on, kicking off with an eco-charrette. The result of our integrated design process was a high-performance building with a minimal, modern aesthetic. During design and construction, most of us talked about the building using terms from LEED: energy savings, water efficiency, indoor air quality, materials toxicity and resource use. The way we talk about our building has evolved since then. In addition to technical systems improvements, we now talk about how the building makes us feel, and often in relation to nature. Biophilia (literally “love of nature”) was an intuitive aspect of our building design, even if we didn’t call it that at the time. 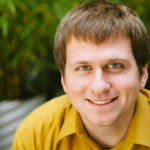 Myer Harrell, AIA, LEED AP, BD+C Homes is a principal and director of sustainability at Weber Thompson focused on boutique, sustainable commercial office projects. He was with the firm when it moved into The Terry Thomas building in 2008.